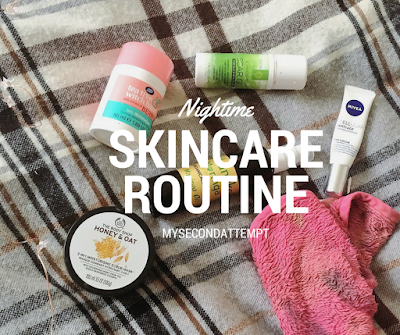 As someone who suffers from a lot of skin problems having a routine is an essential. I don't tend to use an awful lot of products as I find this tends to damage my skin so I really watch how many and what products I use. Every now and then I re-vamp my skincare to make sure my skin is getting the best it needs. So today I thought I would share with you my staple pieces of my skincare routine. Firstly is the makeup remover. 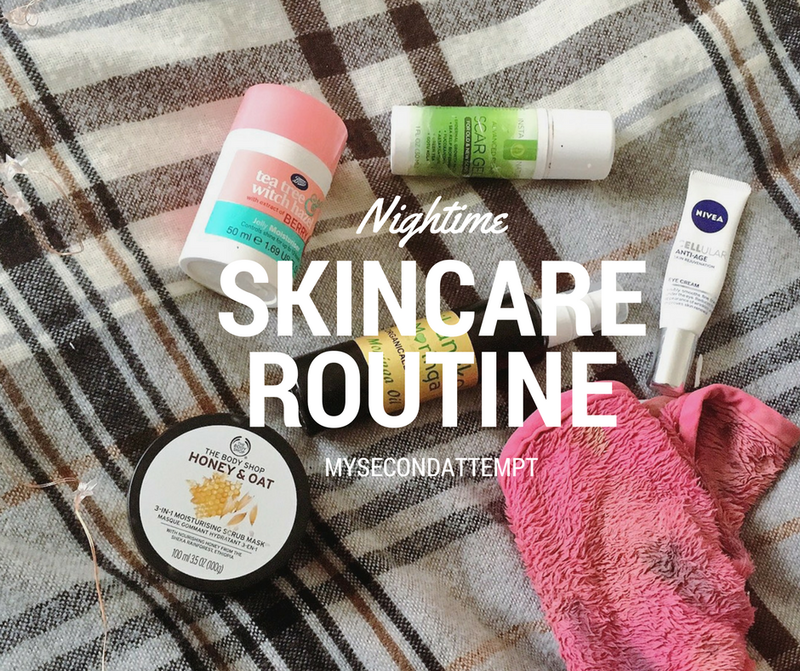 I only use this skincare routine at night as I never have the time in the morning to do the whole thing. For makeup removers I use the MakeupRevolution Makeup Eraser £9.99 cloth. 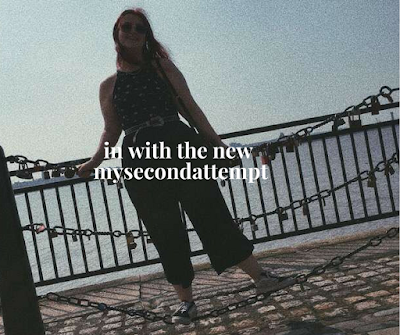 I recently reviewed this here and honestly I can't live without it. It helps to get rid of every inch of my makeup and leaves my skin soft and clean. All you need is a little bit of water and then the cloth starts to do it's magic. Next up are the creams, I use an eye cream and scar gel. For eye cream I use the Nivea Cellular Ant-Age Eye Cream £15.75. I have really dark under eye circles that tend to be quite sensitive especially when I put on heavy makeup. Because I tend to wear makeup for a long time during the day I wanted something that would really care for my skin. This eye cream helps to soothe my under eye area and also helps to slow down the wrinkle process. Obviously wrinkles aren't a concern for me at the moment but I like to still ensure I am caring for my skin the best I can. After my eye cream I use a the InstaNatural Scar Gel. This is great to help break down the scaring process from my spots. I use a little bit of this a couple of times a week and this just helps to clear up my skin and remove any redness or purple from my scars. After this the last thing I use is a moisturiser. I have been in love with the Boots Tea Tree and Witch Hazel Refreshing Jelly Moisturiser £4.59. This has been my go to moisturiser for a while and I can't come off it. This is a gel like moisturiser that helps to keep my skin so soft and smooth. It has a pump on it so it stops me from wasting any product and also makes it really hygienic. I honestly can't live without this. About 2 times a week I will use a face mask as well to help make sure my skin is clean and clear. I have been loving using The Body Shop Honey and Oat Face Mask. The sadly aren't doing this mask anymore but the Ethiopian Honey Deep Nourishing Mask is pretty similar. This mask isn't top heavy it just allows my skin to refresh without taking any of the moisture out of it. And that's pretty much it for my skincare. I don't make it too complicated as I struggle sometimes when I'm tired and had a long day to really go full out with skincare. I hope you have found this interesting, let me know what are your essential skincare products down below. If you have any recommendations let me know!